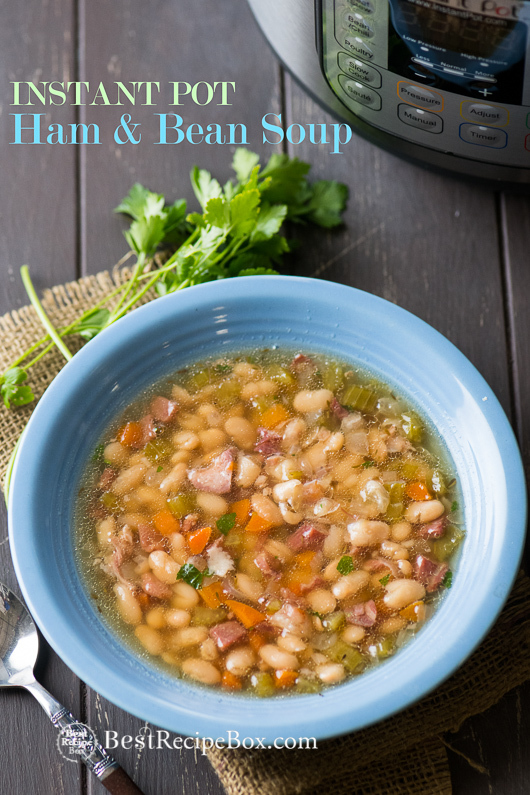 Our Instant Pot Ham and Bean Soup has tremendous flavor and wonderful bean texture. You don’t have to pre-soak the beans at all and in about 75 minutes, you have a delicious ham and bean soup for the whole family. Here’s our complete list of all our popular–> pork recipes. 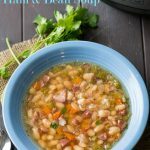 How to Make Ham and Bean Soup in Pressure Cooker? 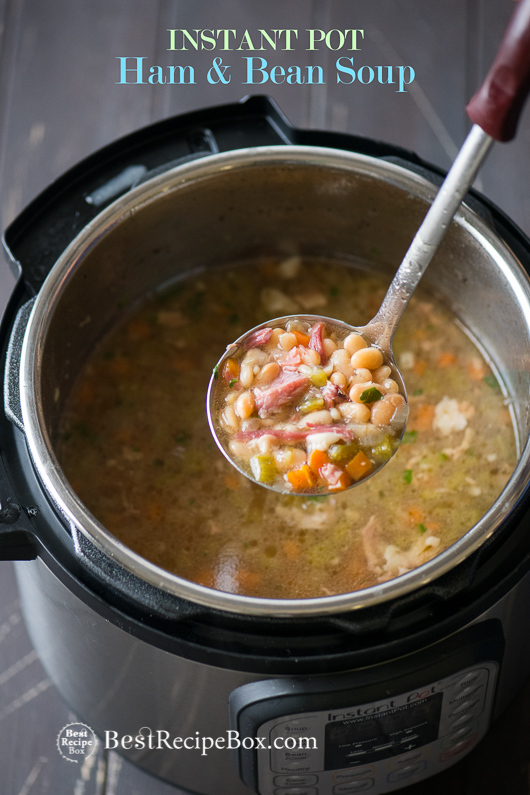 First of all, it’s super easy to make Instant Pot Pressure Cooker ham and bean soup. Seriously, we never thought making ham and bean soup would be this easy. Second of all, we’ve made so many variations of ham and bean soup in the stove top and the slow cooker. With different tests of soaking and not-soaking the beans, the flavors are great but they all take time to prepare. 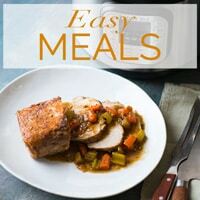 None of it is quick and when you’re looking for a quick and easy ham and bean soup recipe, you often will be compromising flavor. But when you make ham and bean soup in the Instant Pot, you’ll be in for a real treat! 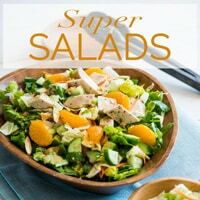 The time to make a huge batch like this is literally under an hour and a half, but without sacrificing flavor and texture. There’s plenty of delicious and savory ham flavor that you really barely need any salt because between the stock and the ham, everything was well seasoned. We were a little cautious about how the dried beans would cook and if they would be mushy. But they weren’t mushy at all and this bean soup was definitely one of the best we ever had. If you decide to use a smoked ham hock, you’ll have even more flavor and be super delighted with the outcome. And have you ever tried making dessert in an Instant Pot? Here’s a fabulous Instant Pot Rice Pudding Recipe to try your hand at making sweets! 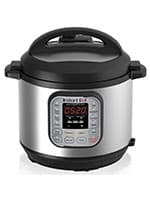 How long to cook the beans in the Instant Pot? Do beans taste good? 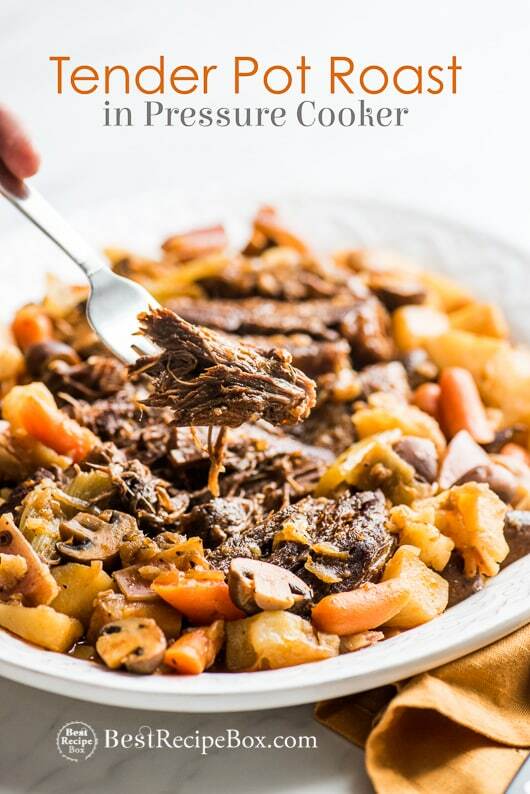 The Instant Pot pressure cooker cooks the beans perfectly and stews all the flavors together wonderfully. The beans were tender, delicious and the rest of the vegetables and ham were delicious. We used dried beans without soaking and it took a little over an hour (time to come to pressure, cooking and releasing pressure). Do you need to soak the dried beans? There’s always a lot of discussion and debate if you need to soak the beans. We tried both methods and for the most part, they tasted the same. We always used dried white beans (regular size) or dried cannellini beans. 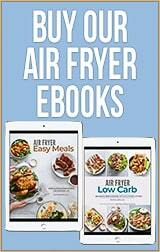 They cook great and perfectly tender. Other types of beans might cook differently, so you’ll have to be open ended to different cooking times and textures when not soaking other beans. Soaking takes an extra step and we found that we didn’t need to do that. It was easier to just add the dried beans in the pressure cooker and then cook it for a little longer. If you’re used pre-soaked beans, you can cook it for about 20 minutes less. 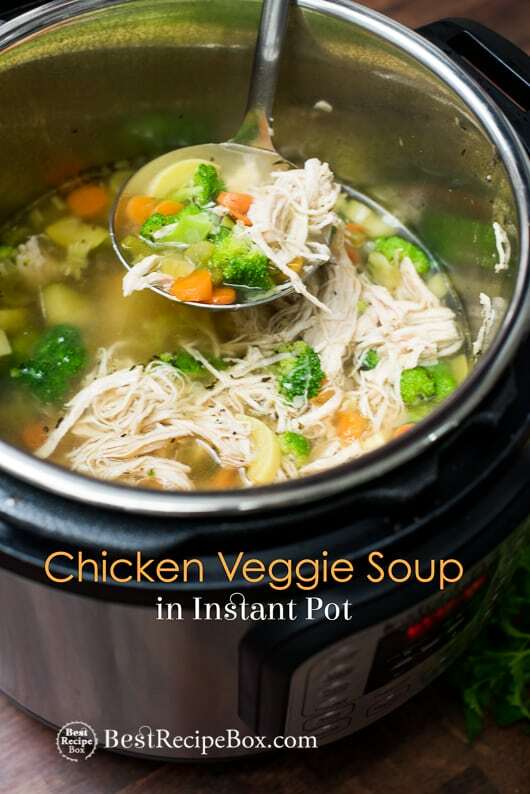 Here’s the official link to Instant Pot. If you’re using a ham hock with ham meat, you don’t have to add the additional cooked diced ham. We used a ham bone that didn't have much meat, so we added the extra diced ham. The saltiness of the broth will vary greatly depending on how well seasoned your chicken broth is and if the ham is salted. Make sure to taste the broth after cooking and adjust seasoning accordingly. Dried beans cook differently too. After several tests, we found that an average cooking time of 1 hour worked best to ensure that different types of dried beans were thoroughly cooked. If you're using larger beans like dried lima beans, they will need an additional 15 minutes cooking time. 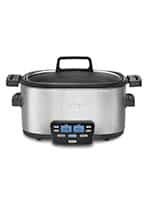 Instant Pot needs to be a 6-qt size or larger. Turn Instant Pot on "Sauté”, and add oil. Add the onions and garlic and cook until soft, about 2 minutes. 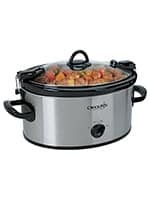 Add the ham bone, diced ham, broth, Worcestershire, celery, carrots, dried beans, bay leaf, dried thyme, optional ground cumin, salt and pepper. And add any additional optional veggies. Stir the mixture. 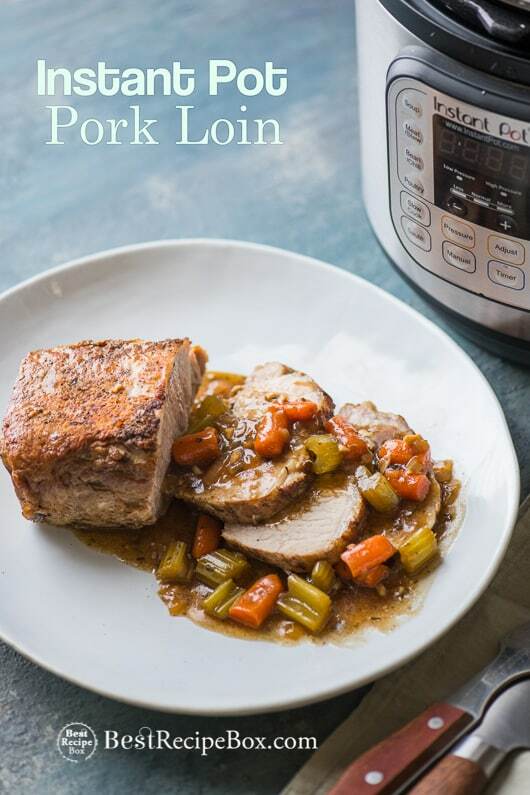 Remove ham bones and any excess fatty chunks from the Instant Pot and pull off any ham meat and cut into small pieces. Add the ham back into the Instant Pot. If you want a thicker soup, mash a few of the beans in the soup. Give the soup a good stir and add additional salt and paper, to taste. Garnish with minced parsley (optional). Serve warm with bread. Recipe was tested in a 6-quart Instant Pot. 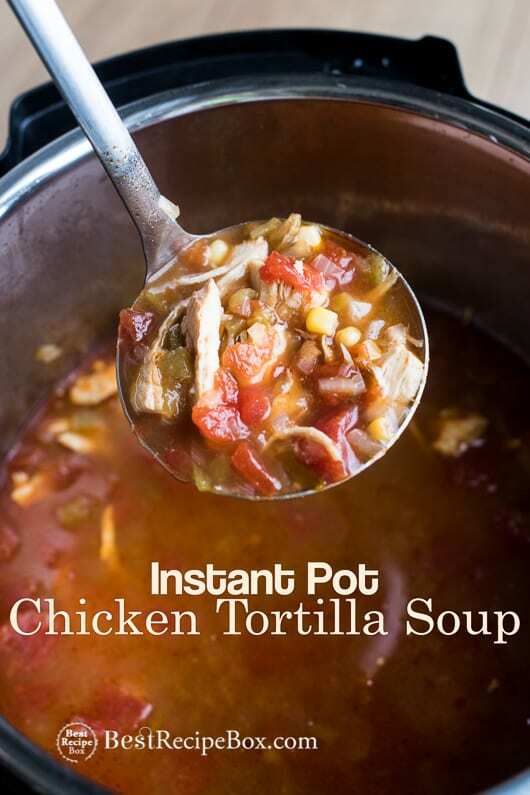 I’m always looking for instant pot soup recipes and this one is a fave. Used my Instant Pot for the first time today. Made this bean soup recipe (my family loves bean soup) and it was hailed by everyone as delicious!! Delicious dinners mean we done good 😉 . Thanks! This was soooo good! Enjoyed every bite! I like to take a few beans out and mash them to get a little thicker. I did and it was perfect! Thank you! Love mashing beans to make the soup thicker. Glad you enjoyed the recipe! I never thought of adding ham to soup… I really love the combination. Great recipe! Yeah, it’s a classic and always a popular favorite! Delicious. I did use an immersion blender to break up some beans, thickening the soup. Then I added one can of cannellini beans to put some whole bean texture back in. 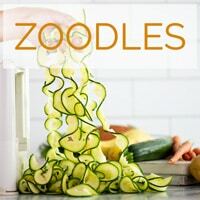 That’s a great idea with the immersion blender! Excellent recipe! Perfect ingredients I added red pepper flakes and garlic powder. I don’t even know what to say except that this recipe was better than AMAZING!!! My husband had four helpings and wouldn’t stop complementing me, my picky 10-year-old son devoured it and my 13-year-old daughter who refuses to eat beans because she’s afraid she will fart in class all day, LOL, told me that it was totally worth the embarrassment! I will absolutely be making this again! 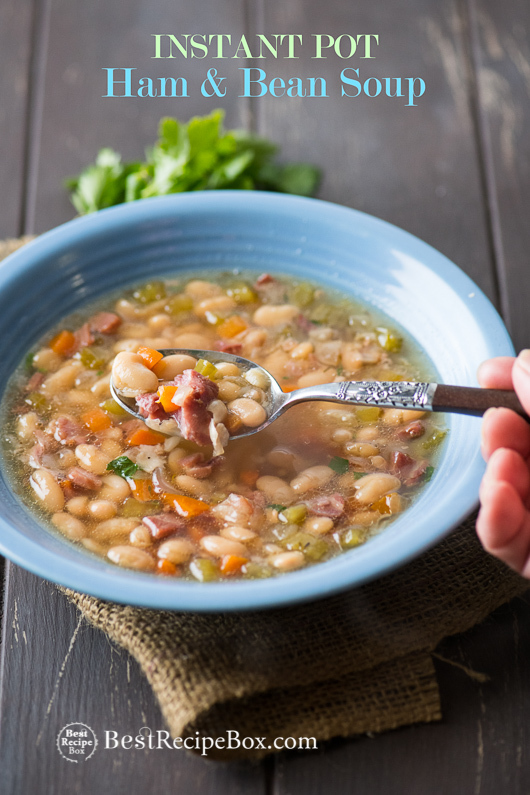 That’s so cool that this our ham and bean soup is such a hit with your family! Thanks for the great feedback. This was delicious. I used your suggestion of mashing the beans for a thicker soup and it came out amazing! My granddaughter loves her bean soup. I’ve been making it for her for 6 years. 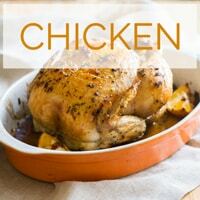 This recipe is amazing and simple and I loved the addition of Worcestershire as this is something I’ve never done. Really good. 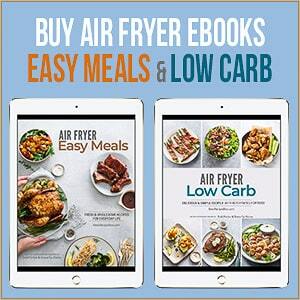 What an honor it is that you love our recipe. Thank you! Worcestershire always adds a wonderful depth of flavor. Hi how many ham hocks should I use? I’m using smoked ham hocks but am not sure if it’s one or two for the recipe. Thank you. 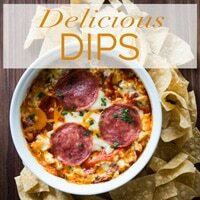 You can maybe use two small ham hocks and all the extra flavor doesn’t hurt! But make sure it’s not too big where the pressure cooker overflows. If it is, then it’s safer to just use one. Thank you! This recipe sounds delicious! I can’t wait to try it! Would you add the kale before or after you pressure cook the soup?